We wish to express our sincere thanks to all the staff that cared for Silvana. During the two years at Lane, mum experienced many transformations and improvements in lifestyle. It is incredible that she entered Lane in a dress size 6, extremely ill and exhausted. But experienced dramatic changes in all aspects of her welfare. Amazingly, over the initial months her dementia seemed to be pushed back and clarity surfaced. We remember Paul remarking that normally resident’s regress but mum appeared to buck this trend, and actually became more cognizant to a remarkable extent. Also, her broken body (two broken ribs, pelvis, elbow and vertebrae) healed rapidly. More importantly, she thrived in the warmth and love expressed by the staff who directly cared for her on a daily basis. The attitude of the staff has been truly first class, outstanding in every way. It is difficult to recall every name since often kindnesses were done and expressed to my mum anonymously. 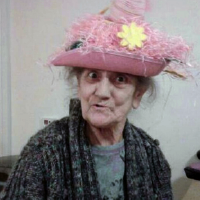 However, we are delighted to recall functions that made her life happy, including activity days, the animal visits she loved, creative activities (the Easter bonnet competition always makes us smile), musical entertainment, aerobics to music, visits (she loved the trip to Planters). Mum’s personal welfare was evidently paramount to staff on a daily basis. She was always smartly dressed, clean and generally well presented. Staff were persuasive even when mum put up a fight and didn’t wish to readily comply. The interesting variety of hairstyles changing almost daily suited her and provided an element of fun. Deservedly the five star rating given for catering was particularly enjoyed by Silvana, we saw her move from a dress size six to a fourteen…what an achievement! We didn’t mind the cost of an ever changing wardrobe evidencing her improving health. Interestingly mum also made good friends with the night staff due to her condition reversing night and day. We understand they cared for her and involved her in office work and snacks frequently thus enriching her life. Often tracking mum down was a challenge, especially in the early days. She would be found asleep in other people’s rooms, even with other residents. However, her habit of lifting the curtains as she went down the corridors helped with detection. She also used to secrete an incredible number of items about her body, not least knives, forks and Christmas baubles. A particular passion she developed was her love for the male gender. This proved to be an item of amusement for any spectators watching the sheer terror come over her victims. Very entertaining especially when attacking the directors of Lane House! Mark was once trapped in the office and experienced her attentions. We have fond memories of the social time that all of us spent with you. This includes fun interactions, conversations with other residents and staff. We particularly remember a balloon fight at Christmas time where the excitement got to pitch level and attracted further players from the home, even some staff. Some residents even used walking sticks to increase their advantage, and Tony using heading skills from his days playing football. Whilst in the early days mum developed a particular technique of chomping on her tablets, in the latter days it required patience and skill for staff to administer her medication. We thank them for their perseverance. 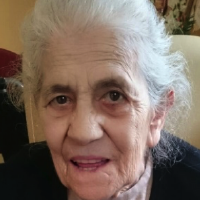 Unfortunately, mum’s health deteriorated rapidly as the dementia took further hold and she developed a chest infection. The fact that she would no longer take food and drink was distressing to all. We noted that staff became increasingly concerned and genuinely upset as her health declined. The last desperate attempt by admission to hospital failed to reverse the process. It was incredibly sad that a return to Lane was not possible since she now needed nursing care. The only reason that we did not choose Lane was the fear of any potential suffering, however brief, waiting for the administration of essential end of life medication, which would have required district nursing staff. We realise that you dearly wished to care for her in her last hours (even installing a proper bed) and this made our decision even more agonising. Her last days and hours whilst traumatic for us were characterised by a peaceful resignation. Prior to losing the ability to communicate she maintained a sense of fun and entertained us with an array of funny faces and a brief shimmy of her shoulders, whilst still maintaining the feisty side of her character when the nurses washed her. 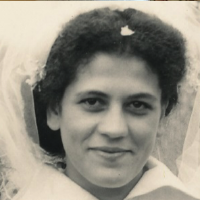 Mum bore herself to the last moments with a gently dignity as she slipped away as in her sleep. Thank you Lane House! Dave, Marina, Liza, James and Abbie.